Ann Syms brings to InterCoastal over 24 years of experience in commercial, multifamily, and residential management and development. Ms. Syms launched her career in the financial management side of the industry by serving as the Controller for several large real estate management and development companies including the Roberts Companies and the Westfield Group. During this phase of her career, she also consulted as a forensic accountant by providing real estate valuations in expert witness testimony during litigation. Ms. Syms evolved into operations from her position as InterCoastal’s Controller with the creation and operation of several risk management departments. Responsibility for loss prevention and claims management led to her complete transition into operations as the National Director of Multifamily Housing for InterCoastal in 2007. Ms. Syms implemented a complete re-organization of her division that resulted in an operational structure designed for the long-term management and preservation of the company’s extensive multifamily housing portfolio. 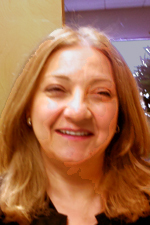 Ms. Syms holds a bachelors degree in business administration with an emphasis on accounting and finance.